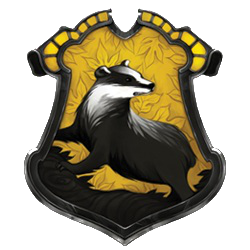 That_One_New_Pokemon [Contact] Better be Hufflepuff! -My name is Sam, and I would appreciate it if you referred to me by that name. -I am a very slow writer. I plan out each story chapter by chapter (or try to) then I write it all out at once. If I don't like the way a story is going, it normally results in multiple do-overs, which makes updating constantly on a schedule very difficult. -My Archiveofourown name is Shezza_Cumberbatch and my Tumblr is that-one-new-pokemon. I am fully aware that Another Life Lead and Wings of Sun have taken ages to update. The reason for that is I have completely lost interest in the stories and thier plots. So for now, consider them on hold until further notice. With Another Life Lead, I had published it earlier than intended due to a preview error and since you all liked what I published, I went ahead and posted the rest of what I had written at that time. Now, I have completely forgotten what I was going to write for the rest of the story. Until I can remember and compltely finish, there will be no update. It will take a lot of time, perhaps years, but I hope you can wait just a bit longer. With Wings of Sun, I absolutely hate what I have written. I still love the concept and challenge that Mellow Moon has written, but I hate how I wrote it out and how I responded to the challenge. Due to long times between updates and poor planning on my part, I have forgotten what the original plot was, so I just wrote down whatever came into my head, resulting in the jumbled mess I have now. So, what I am going to do is completely rewrite the story, with a whole new plot. The new story will be called Birds of a Feather and will take some time to write. As of now, it is still in the beginning stages of planning and will take a lot of time to finish. I will keep up Wings of Sun, so you can continue to read it at your leisure, just dont expect any updates. I also have a few stories that have been running around in my head for quite a while. For some, I've begun writing, while for others, I'm still planning out chapters and finishing the plot before writing. Im going to go ahead and put the summaries and tags here below, just so you know what to expect and what to look forward to. It may take a long time, but I will get these stories out! The twins weren’t kidding when they said there would be a magical test in order to be sorted. They just didn’t specify what it was. Harry, along with the other children of his year, must take a magical test of strength before the teachers would even consider letting them get sorted. The only problem is, Harry doesn’t know magic. The most he can do is spit out sparkles. With the teachers and the rest of the school watching, will Harry manage to pass his test, or will he be expelled before he is even able to step foot in the castle? A short, three-chapter story in response to JAWorley's Magical Test Sorting challenge. Around a young witch or wizard's eleventh birthday they acquire wings, a sign that they have developed their full magic. Many worship their new wings, but to Harry, it's just another sign that he is a freak. Severus Snape is assigned his guardian over the summer before Harry's first year. It is up to him to teach young Harry the ways of the wizarding world and to come to terms with his newfound fame. But there is darkness lurking around every corner, and if Harry is not careful, it will be the last thing he ever knows. Eventual Severitus. What if James and Lily had survived the attack from Voldemort that night in Godric's Hollow? How different would a certain Harry Potter's life be growing up with a real family? And how differently would Snape treat Harry when he goes to Hogwarts? Years 1-7 and everything in between.